Let's get some answers. Here we go! 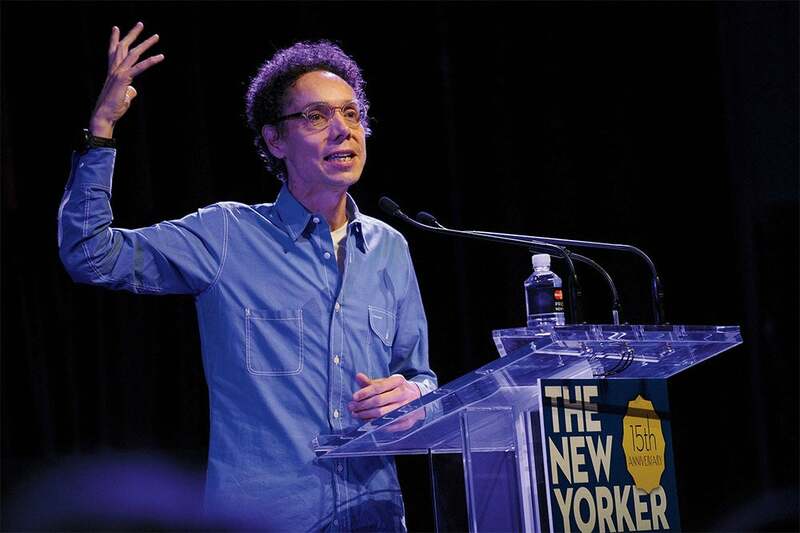 When you hear the name Malcolm Gladwell, you think of something: a particular kind of writer, or podcaster, or whatever. But Malcolm Gladwell doesn't. I spoke to him recently, and was inspired by the way he thinks of himself. He aggressively does not define himself. "I think it gets really dangerous -- if you’re someone who’s doing something creative -- to start to define what you do," he tells me. "Even if it’s a correct definition, it’s limiting to have that thing in your head. It starts to constrain you." "I’m open to suggestion. The most important thing is never to make a decision about yourself that limits your options. Self-conceptions are powerfully limiting. In the act of defining yourself, you start to close off opportunities for change, and that strikes me as being a very foolish thing to do if you’re not 85 years old." Self-conceptions are powerfully limiting. I'll be repeating that the rest of my career. I noticed an interesting change recently at Just Salad, a chain that I often buy lunch from. I asked the CEO to explain it, and his answer is a nice insight into the relentless tinkering that's requires to run a strong company. 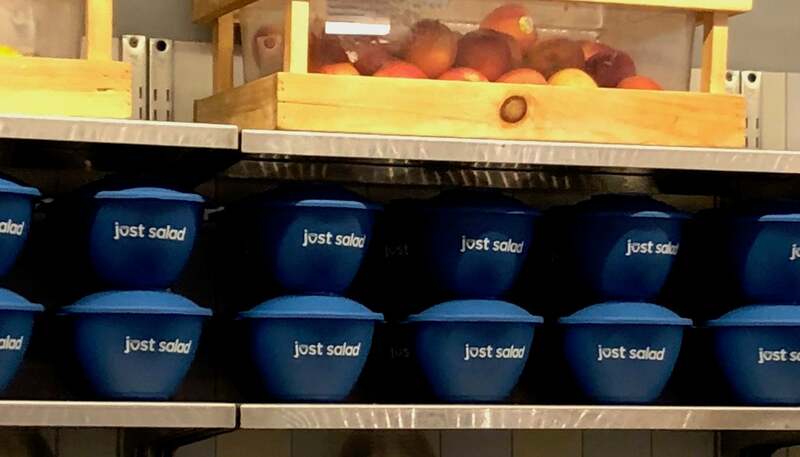 Some quick background: Just Salad offers reusable bowls, which are both eco-friendly and encourage customers to come back more often. (If you opt for a reusable bowl, instead of a disposable one, you get some free salad toppings.) Here's my bowl, which I got maybe a year ago. • The EPA actually recognized us in June at a ceremony at their offices as the largest restaurant reusable program in the world! 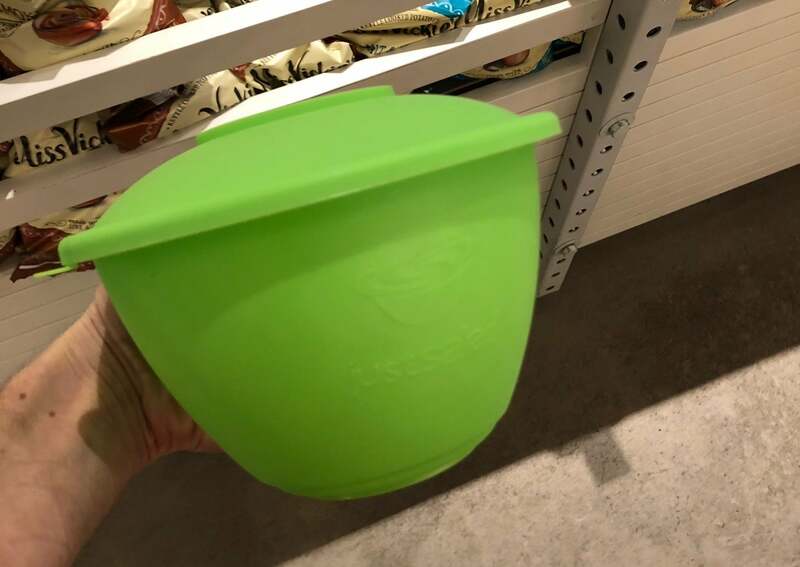 "All this, as well as general political environment (as the White House turns back on protecting the Earth, others seem to want to try harder to protect it right now), has led to peak bowl sales." How great is that? The companies that grow and thrive are the ones that constantly reexamine the details. Make it a prompt for yourself: What little thing have you left alone for too long? Recently, people on Twitter were sharing rejections they'd gotten, and it made me think of this old one. 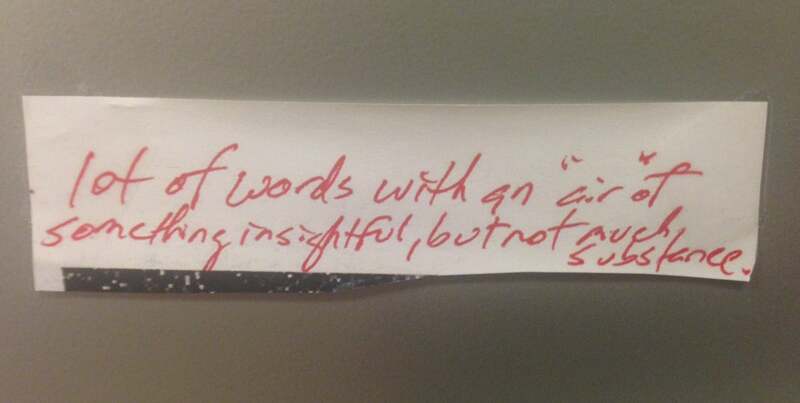 It came from an editor at an old job, who wrote these words on a story of mine. He clearly wanted me to feel embarrassed, but know what I did instead? I hung it on my wall like a trophy. As if to say, I don't take this guy's crap seriously. I'm better than he thinks I am. Rejections are only as powerful as you let them be. We've all been rejected. When you are, don't bury it. Hold it high. Let it fuel you. Let's keep going. 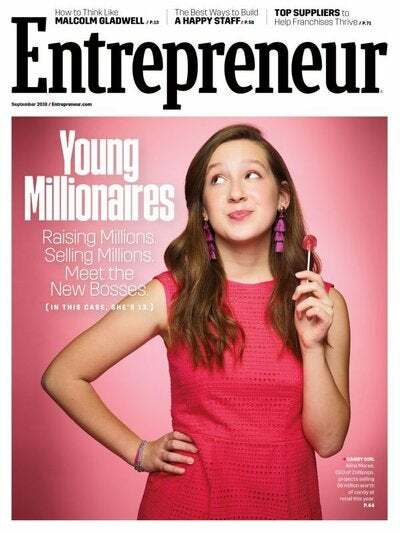 We put a sharp, ambitious 13-year-old on the cover of September's Entrepreneur magazine, and have received an overwhelming number of positive messages about it. But I also got one angry email. I want you to read it, and witness the ugliness of resentment. Here's what a man named Mel emailed me: "It's so heartening to realize that if a ditzy-looking kid can become a millionaire so easily, I must have completely screwed up my life, and despite all of my hard work and efforts, I'll never be an outlier like that. I've tossed the magazine, canceled my subscription, and am now facing reality. Thanks so much." Good, Mel. Cancel the subscription. Go do something else with your life, because clearly entrepreneurship is not for you. Entrepreneurship is competitive, of course: We compete against ourselves, our peers and the industry at large. We're out to prove our doubters wrong. We want to win. But we never win by playing the victim. I get it -- this isn't always easy. Someone will always be doing better than us. But we cannot not allow ourselves to be consumed by resentment. We cannot sit around saying, "It shoulda been me, not her" -- because that, Mel, just means we're sitting around not helping ourselves. Focus on you, Mel. Celebrate the successes around you, or at least learn from them. Resentfulness will get you nowhere … and nowhere is where I suspect Mel is. Earlier this month, I was trying to contact a writer I might want to work with and couldn't find their address. It's not in their social media. It's not on their website. It's nowhere. And this happens more often than it should -- not just with writers, but with entrepreneurs, with executives, with lots of people of interest. What are you protecting against? The arrival of a few unwanted emails, at the expense of potential work and partners? Take it from me, a guy whose email address is easy to find and who receives a lot of email: It's not hard to hit delete on the junk. And it's awesome to receive the good stuff. Seriously: Go google yourself right now. Does a site with your email address show up high in the rankings? No? Fix that!